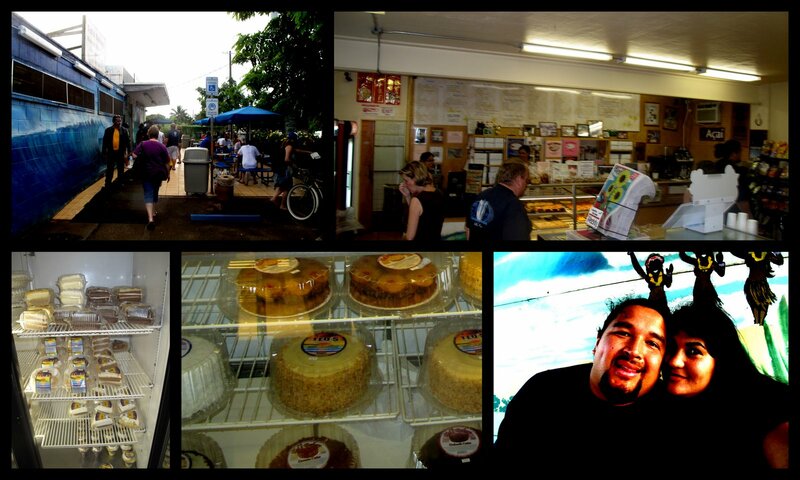 Is in my top 5 places to eat on Oahu. Everyone loves their plate lunches but they have THE BEST eclairs and carrot cake. It's to die for! I always skip lunch and just have the carrot cake. Or i grab one of their ready made sandwiches if we are heading to the beach. Tommy loves the Chantilly cake. We can't find it anywhere here in Utah :(. Actually, that is probably a good thing! But pretty much everything on the menu board is to die for! Warning: Strong Current. Do Not Swim. It didn't stop this guy and many more from hoping on their boards and heading out. Jim and Susie are so cute! 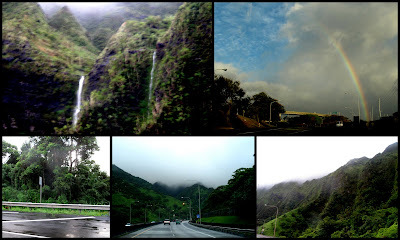 Cruising back from the Pali Lookout was so pretty. We pulled over to see if anyone wanted to swing from a vine. LOL! Here is Tarzan himself! 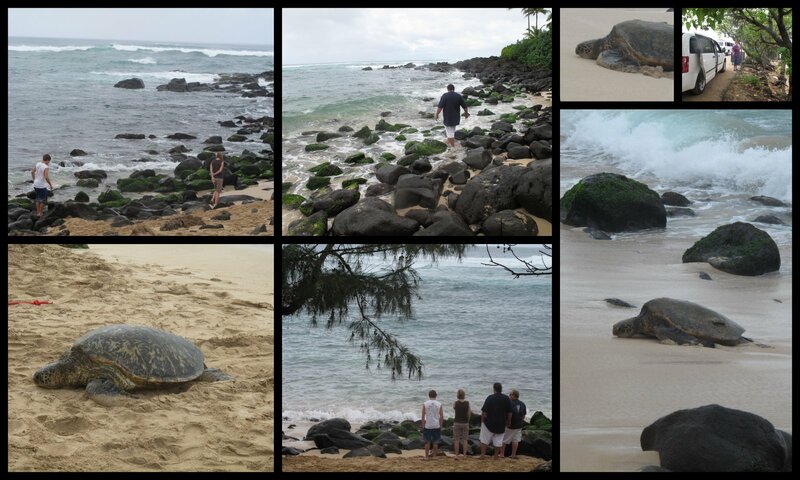 at around 3ish pm you can see these huge sea turtles swim up and kick back on the this beach. Tommy and I went to Hawaii for the first part of Dec. We took the shuttle to pick up the rental and I think this is the first time we realized how easy it is to cruising without kids. 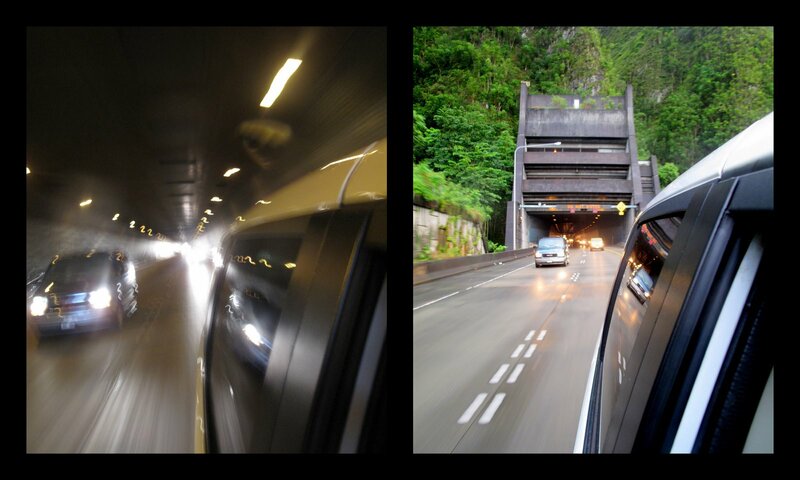 You find yourself driving through a mountain. Rainbows, waterfalls, beautiful lush mountains and a chicken hanging out off the side of the highway. We were headed to the North Shore to Tommy's mom's house. Hitting a few of our favorite places along the way. The Waikane Store for some mochico chicken and sushi. Yes, this is a place most would never stop at but trust me... YOU ARE MISSING OUT if you don't! It just reopened after a total revamp. We went with our good friends the Stanworths. They were so much fun and got us to do all sorts of fun touristy stuff that we havn't done in 10 years. We love these guys and had so much fun with them. If you haven't been there... you gotta go. It is beyond gorgeous! This was my first time going here but it is a place Tommy and his mom love. They love their Cocoa Puffs but I think the Long Johns are better. Are these not the cutest cookies EVER??? 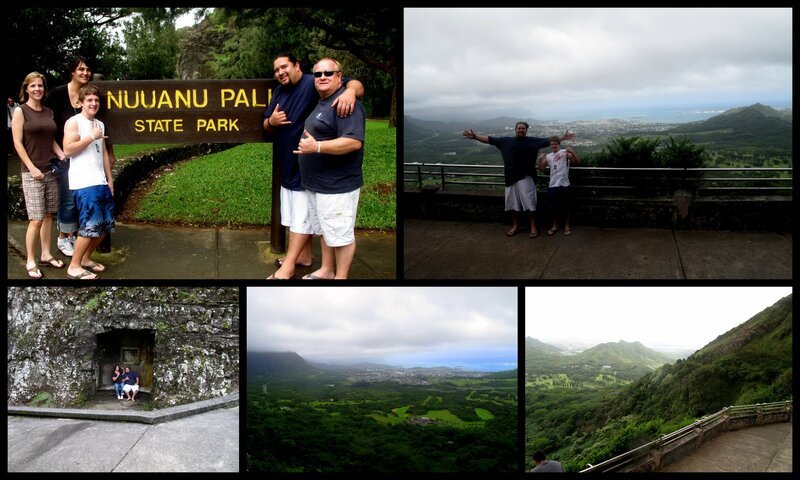 I wish Tommy's grandma was still alive so she could tell me what all of the different beautiful vegetation was called. She knew everything there was to know about every tree and plan that grew in that state. This was taken at Sunset or Pipeline beach. Is this called a monkey pod tree???? Mom and Dad to the rescue! I had all our stuff from our trip up North was still in their suit cases. I needed to get Tommy and I packed for Hawaii and also get all the kids clothes washed and organized for mom and dad since they would not have time for laundry. The 10 days we were gone we probably the most busy our schedules had ever gotten. I was dumping all that on mom and dad. They were total champs and hit the ground running. Dad helped me organize and pack. I literally had the whole family room covered in clothes. Mom jump right in and was giving the kids some much needed love and attention.